Air Excavation is the process of using compressed air to penetrate soil. 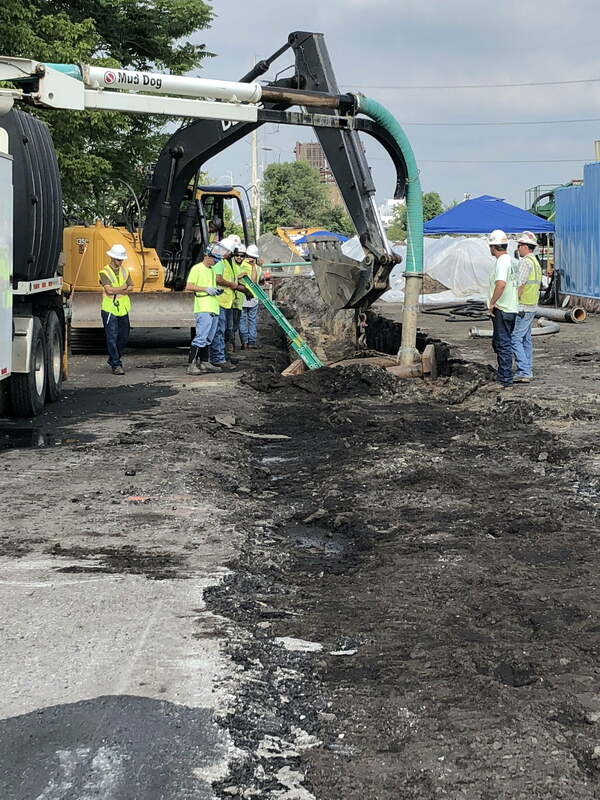 The soil is vacuumed through a wide and flexible hose to a truck-mounted debris tank. For difficult access environments, our equipment’s remote access can extend hundreds of feet into the site minimizing surface disruption and site restoration. Air excavation is precise and safe. Because the soil material remains dry, it can be used for back-fill immediately.